How did you feel the last time someone asked you for your bio? You need a fresh bio and I can show you how to write it. Don't stress. Banish blank page anxiety. Download the guide for the four prompts for writing a brilliant bio with three examples of great mini bios to inspire your efforts. You booked an interview, a speaking gig, a sponsorship opportunity, or you've nabbed a guest blogging opportunity. You've got to have your bio at the ready. And, it's got to be compelling, interesting, straightforward, tell the whole story, and it's got to be SHORT. This bio has a lot of work to do. Is yours up to the challenge? 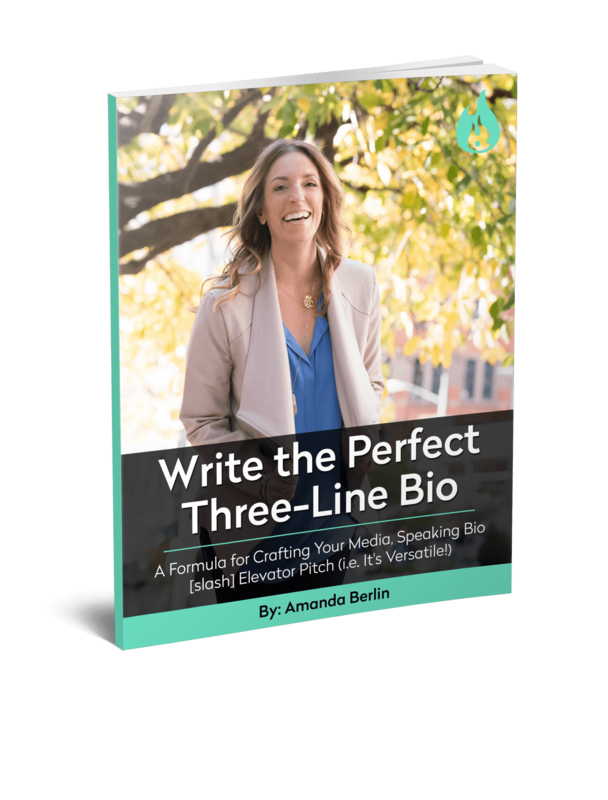 This free guide, Write the Perfect Three-Line Bio, will show you how to craft a unique bio that gets engagement while selling you and your business by answering four critical questions. Sign up below to get your hands on the guide! (c) 2017 The ABerlin Agency Inc.